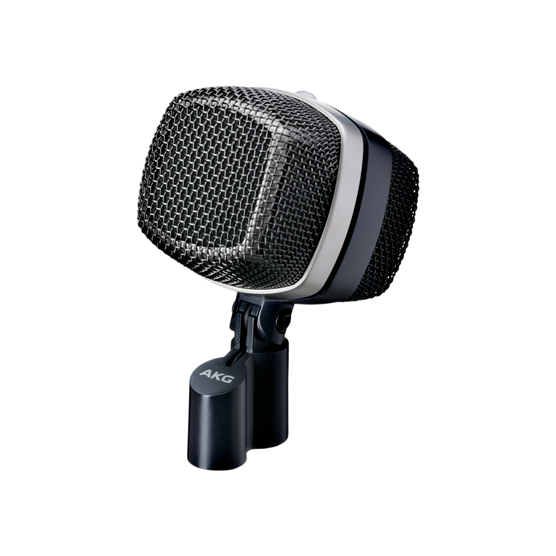 The D12 VR is a reference large-diaphragm dynamic microphone with cardioid polar pattern. Designed specifically for kick-drum recording applications, the microphone has a thin diaphragm to enhance the low frequency performance. Its warm sound is realized by the original C414 transformer, especially impressive at high signal levels. The D12 VR features three active filter presets to match its sound shape with the kick drums character. When activated, the output level is automatically reduced by 10 dB. The filter settings can be controlled using a switch on the microphone body. Without phantom power, the microphone operates in passive mode and delivers the instruments pure sound.